More than just a robot! 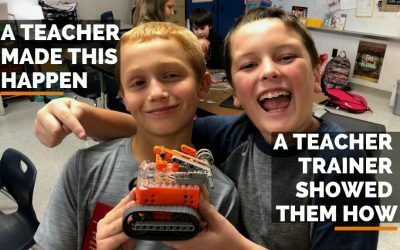 The Edison robot is a powerful, engaging tool for teaching kids STEM, computational thinking and computer programming in a hands-on way. At less than US$50 each (and just US$33 each for a full class set) and with more built-in sensors than any robot in its class, Edison robots are the perfect addition to any classroom. 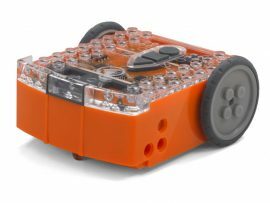 Let every student get truly hands-on with their very own robot without sacrificing your budget. Spark your students’ imaginations! 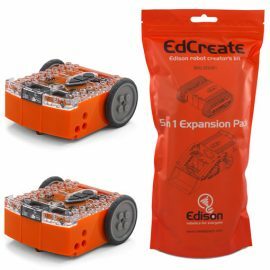 Edison robots are modular and easily expandable using LEGO bricks or our own EdCreate creator’s kit. Enrich your students STEM education experience and promote creative problem solving through interactive engineering and programming projects. Make robot programming fun, easy to learn, and powerful with multiple programming languages. From drag-and-drop block-based coding through to text-based coding with Python, Edison can be programmed using any of our educational robot programming languages. 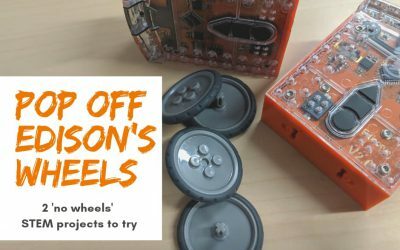 Integrating Edison into your classroom is easy with our free teaching resources designed to help educators unlock robotics and coding. 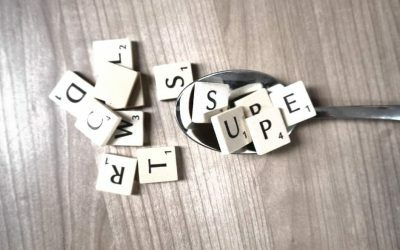 All of our resources, including lesson plans, teacher’s guides and student worksheet sets, are free to download and licenced under Creative Commons. Using the six pre-programmed robot activities set by barcodes, children as young as four are able to learn the basics of computational thinking and computer programming. With Getting Started guides and resources for every level, everyone can be a programmer with Edison! Ready to use out of the box, the Edison robot is a powerful, engaging tool for teaching students computational thinking and computer programming in a hands-on way. 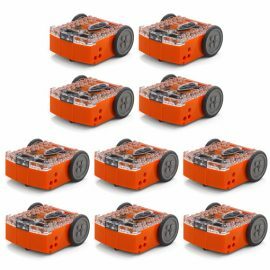 Edison robots are designed to withstand the classroom environment, making them the perfect tool for all your STEAM projects.